Cotton Nightgown - Getting a good night’s sleep is not only considered beauty rest for looking your best, but will lower stress levels, fuel you throughout your day, and help you achieve overall wellness. A good night’s sleep starts long before you crawl under the covers in a cotton nightie or sleepwear. A good night's rest starts by prepping your bedroom and clearing clutter, tidying up piles of clothes, and removing any papers or extraneous items that don’t need to be there. Treat your bedroom as a place for sleep and sleep only, and keep things like your laptop, coffee mugs, and mail in another room. According to Cotton Incorporated, most of women’s intimate apparel and clothing is made of.... cotton. You’ll look forward to bedtime every night if you turn it into a pampering experience. Choose luxurious sheets, indulge in pajamas that make you feel beautiful, like a pretty cotton nightie, place a small floral arrangement on your beside table, and make your bed each morning when you get up. Make your bedtime feel like a spa retreat and you’ll be relaxed and rested in no time. Trying to sleep after rushing around all night is nearly impossible. Give your body and mind a chance to unwind at least an hour before bed by letting go of your to-do list, powering off your devices and TV, and doing something soothing instead. Slip into your pjs and relax in comfort while you read a good book, write in a journal, or have some one on one time with your partner. By the time you’re ready for bed you’ll be calm and ready to rest. Keep your bedside table stocked with all the items you’ll need to make your sleep extra restful. Stock it with a few little goodies like a silk eye mask, rich hand cream, and a good book by your favorite author that you've been wanting to read. Make it your personal treasure trove. A little bedtime pampering will send you off to dreamland feeling pretty and relaxed. Upgrade your sheets and pajamas to natural fabrics that are breathable, and you’ll stay comfortable and cool while you sleep. 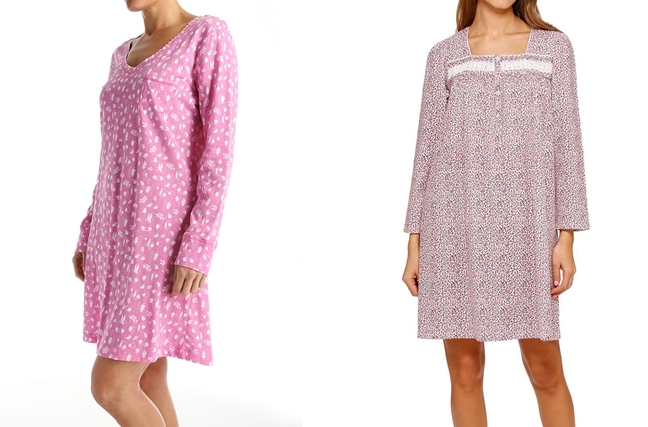 Choose organic if possible, and look for 100% cotton nightgowns and sleepwear. Opt for pure cotton, silk, and wool bed linens. A blasting thermostat and an ultra hot room will dry our your skin and throat, making you feel parched when you wake up. \Plus, it's harder to get to sleep. 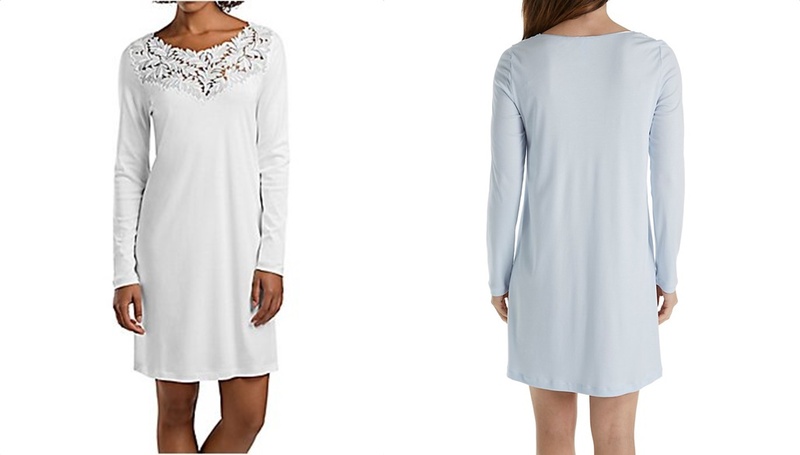 Instead, if you like to stay warm, keep the air cool and upgrade to a long sleeve cotton nightgown for more coverage, or add an extra throw blanket to keep you warm and cosy. A warm shower or relaxing bath is a great way to relax at the end of the day. Wash away the day by treating yourself to a long steamy shower or relaxing warm bath before turning in. Follow up with a silky body cream and a fresh cotton nightgown, and you’ll slip into bed feeling tranquil and ready for sweet dreams. Nothing can ruin a good night’s sleep faster than nagging thoughts and racing ideas that are rumbling around in the back of your mind. Here's a great relaxation tip that helps compartmentalize things that keep you awake at night - keep a pretty journal and pen in your bedside drawer. If a worry or thought pops up simply jot it down and let it go until morning. Treat all five of your senses to a calm and restful sleep when you indulge in things like a white noise machine that blocks out annoying sounds with a soothing rain or water background. Lavender or your favorite essential oils, and a crisp cotton nightgown and sheets are also great ways to calm the senses. The more relaxed you can become before you fall asleep, the better rested you’ll be when you do finally doze off. Try turning in at the same time every night and following a similar routine to unwind and prep for sleep. Avoid intense activities, exercise, caffeine, and electronic devices ( computers, tablets, phones, etc.). Keep it light, easy, simple and soothing. Regular rituals like reading your favorite book before bed, or sipping a soothing tea (decaf) will send a signal to your brain that it’s time for bed and a good night's sleep.